British filmmaker Peter Strickland, who earned acclaim with his austere and minimalist debut feature Katalin Varga, once again stuck gold amongst critics with his sophomore film. 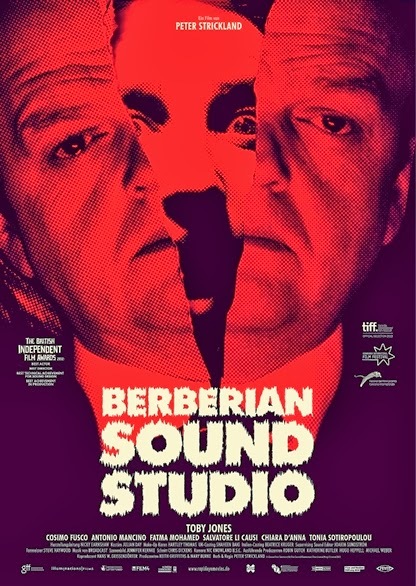 Berberian Sound Studio is an audacious, challenging and ambiguous work that deftly combined oblique narrative with bravura stylistic flourishes. It was a straight-faced homage to, and an underhanded critique on, the quintessential Italian sub-genre of giallo, as also a meticulously detailed peek into the world of a sound designer. But more than anything else, it was an audio-visual delight. British foley artist Gilderoy (Toby Jones), a meek and mousy man and a veteran in nature documentaries, flies down to Italy to work for a film that, completely unbeknownst to him, is a low-budget slasher horror B-film. Right from the cold welcome he receives from the film’s sleazy and domineering producer (Cosimo Fusco) who’s shadow-directing the film, to the ladies hired to scream their lungs out into the mike, to the greasy director who’s conspicuous by his absence, to the beautiful receptionist who treats him with disdain, he finds himself in an utterly hostile and alien world. As the grimy studio and language-barrier heightens his homesickness and loneliness, and the graphic nature of his work starts affecting his psyche and mental balance, the world around him starts slowly collapsing and he begins losing the grip between sanity and madness. Jones, with his perennially perplexed expressions, was spot-on, while Fusco, with his controlled aggression, was brilliant. The bleak mood, claustrophobic atmosphere, oddball characters, disconcerting close-ups and the alternating between sound and silence, made this a heady visceral cocktail. On hindsight, however, it could have done with some dark humour.